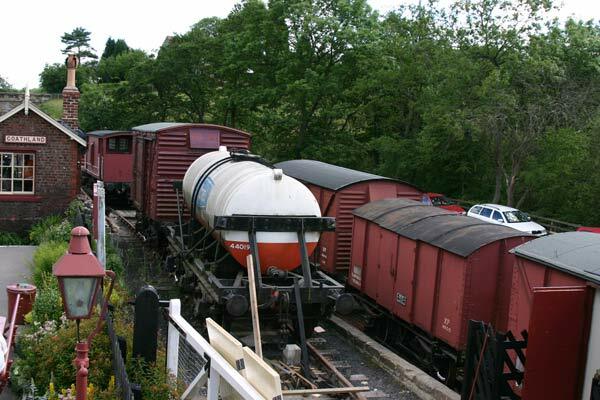 Some photos of a brief visit to Goathland station starting with some of the restored wagons in the small yard. 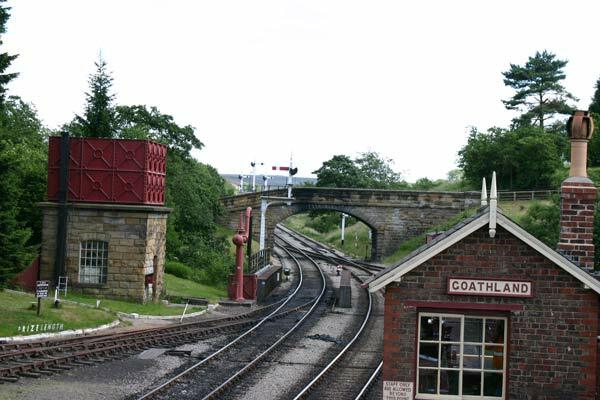 Goathland signal box, water tower and a variety of lower quadrant signals which were a surprise, I expected to see upper quadrant ones. 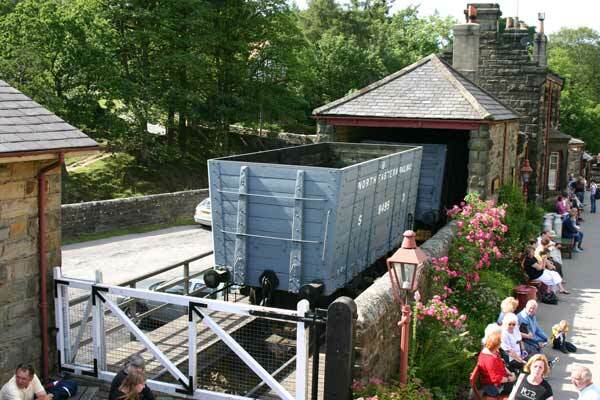 This NER coal wagon is sat on a coal drop which simplified unloading - provided the coal was hard enough to withstand the drop! 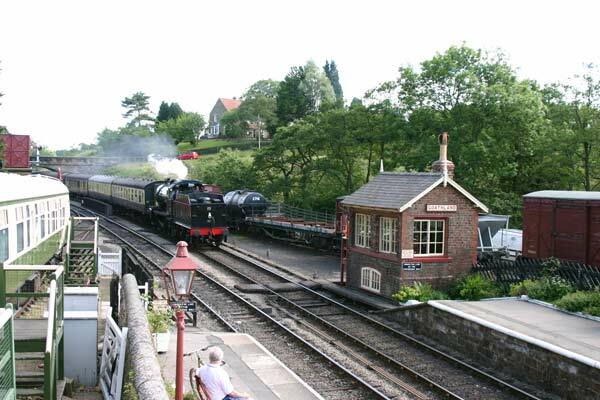 S&D 2-8-0 53809 arriving at Goathland with a Grosmont bound train. 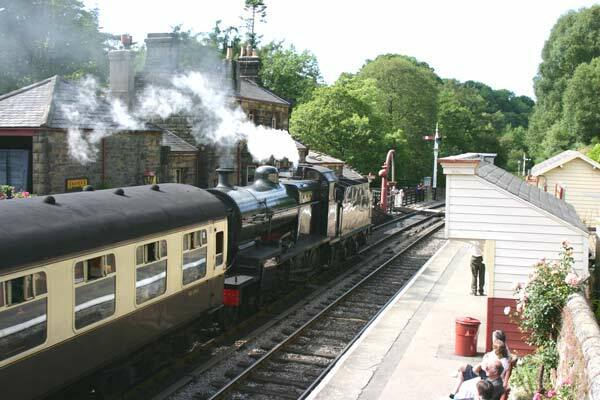 Last time I saw her was at Minehead on the West Somerset! 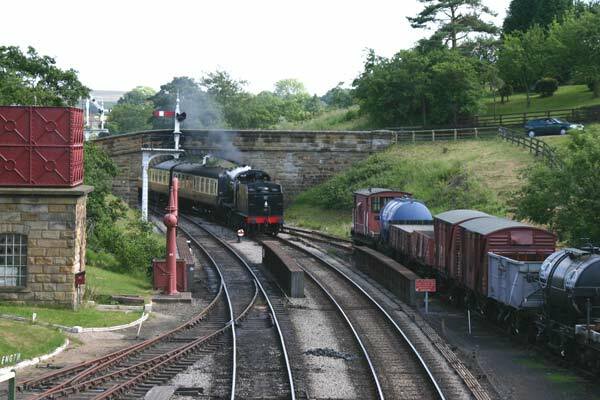 Another view of 53809's arrival, the signalman is just visible on the platform at the far end of the box ready to exchange single line tokens. I was puzzled by the inclusion of chocolate & cream coaches in the formation. 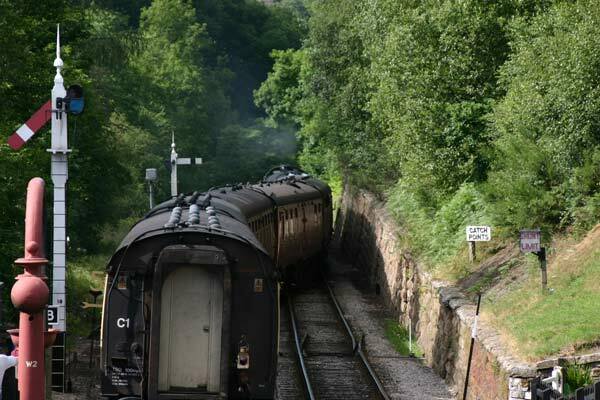 A last one as 53809's train snakes over the crossover and down the bank towards Grosmont past an interesting NER signal.